You have worked hard in order to get your Hummer. Now that you have it, you would like to take good care of it and use it whenever you can. It can be devastating to realize that you need Hummer key replacement because something is wrong with your car key or you have lost the key. There is no need to worry because there are locksmiths that can provide the services that you are searching for. Whether you are searching for Hummer key replacement for Hummer H2, Hummer H1, Hummer H3, and Hummer H3T. We understand just how inconvenient it can be to get locked out your vehicle any time of the day. It does not matter whether the sun is still out or you are looking at the moon, it is stressful to be outside your vehicle. We offer what you are searching for – we provide keys replacement. 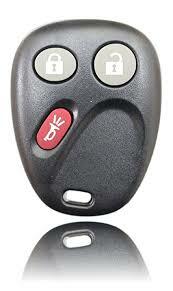 Bobcat Locksmith also offers Hummer key FOB programming if in case you need to have your car key reprogrammed. Our goal is to make you feel less stressed when you realize that you have lost your car keys. We can also be the locksmith you will call when your key stops working. There is no need to try to figure out things on your own. We are here and have all the right tools and materials that will help provide the services that you need. Have you realized that the key that you have no longer works? Your key may be in your pocket one moment and gone the next. You can panic and feel anxious but your negative emotions will not do anything for your present situation. It will not be ideal to retrace your steps in the hopes of finding your key if you lost it. Why waste your time when you can just contact us? The moment that you call us, our agent will provide the help you need. You will be required to describe your present situation. Provide your location, your car brand, model and year. In a few minutes, we will strive to be where you are. The information you provided will be useful to ensure that we have the right items with us when we help you. We will help you unlock your vehicle. We can also help you remove the car key that needs Hummer key FOB programming in order to work again. Our team will do our best to help you in a fast amount of time. Whether you need keys replacement or the Hummer key FOB programming, we will provide the service you need. You may want to know how much it will cost if you would go to a dealer instead of a locksmith. 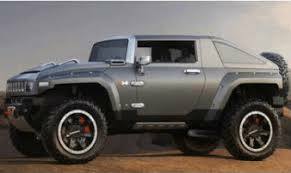 It will cost a few hundred dollars depending on the Hummer model that you have and the year. Do not expect to get your keys immediately. You may have to wait a few days before you get the replacement key. Take note that the car dealer will require different things like your vehicle registration and your current address. There are also moments when the dealers cannot help you because they do not have the decrepit key codes that are needed to set up the replacement keys. Dealers may not be able to help you, but we can. Whether you need a key replacement for a car that has been manufactured 10 years ago or something new, you will get what you need. Just imagine getting out of the place where you have gotten stuck because of your key that isn’t working anymore. Just one more thing: if you decide to go with a car dealer and your key suddenly stops in the middle of the road, you still need to get tow truck services. This service will require you to spend a hundred dollars or more depending on your location. Getting key replacement is not the best things to do in the world but there are moments when you have no choice. 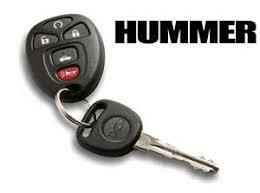 Contact us for Hummer key FOB programming if you own a Hummer created from the year 2003 and above. Some people become surprised to know that their key still needs programming. Some keys look like regular car keys but they may have transponder chips that need to be programmed as soon as possible. You do not have to get locked out of your Hummer for a long time. Give us a call and we can provide the key replacement that you are searching for. Who says that you have to wait long? Our team of professional locksmiths is ready to get to your location faster than 20 minutes. The faster that we are able to provide our services, the better. You can ask us to provide a quotation for your key replacement or other locksmith needs over the phone. Take note that you need to be specific with the car details so we can provide a quotation that is as close as possible to the amount that you will pay when you get our Hummer key FOB programming services. There are moments when getting a key replacement is a bit complicated. This is because your key needs to be reprogrammed or your key has shattered on the ignition. Our locksmith will be available no matter what time it is. We have different ranges of locks and keys for your Hummer. All you have to do is let us know what you need. Ask us about our Hummer key FOB programming services and all of the other locksmith services we can provide for your Hummer. Give us a call soon.